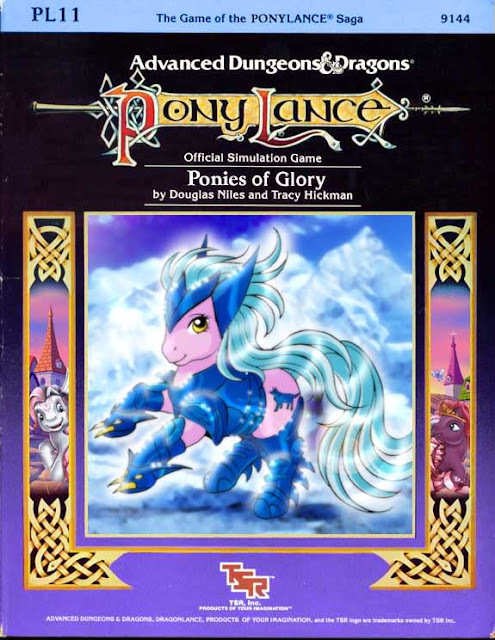 Lurking Rhythmically: My Little Pony: Friendship is Dungeons & Dragons - Ponies. Pistols. Prepping. Wow! I never realized my series of posts about how MLP would make a great D&D campaign would become so immensely popular, but I've been linked to by such luminaries as TV Tropes and Equestria Daily. As such, it's time this series received an index page of its very own. I didn't draw this, I just found it on the web. It is included for the sake of AWESOME. And before you go, please check out Friendship is Dragons. I am incredibly flattered that writer-artist Newbiespud thought my ideas were entertaining enough to turn into a screencap comic!